The Professional Series MFC-J6910dw will help your business thrive with the versatility of duplex printing, copying and scanning. Easy to setup wireless (802.11b/g/n) or wired Ethernet network with embedded web support connects to others on a network. Equipped with interactive and intuitive 3.3" TouchScreen color LCD display for easy to use menu navigation and access to help information. Uses Super High Yield (XXL series) replacement ink cartridges approx. 2,400 pages black and 1,200 pages color. Up to 11" x 17" Scan Glass. Easily scan large documents in one pass. Up to 11" x 17" Duplex (2-sided) Printing. For creating professional, high impact, two-sided documents. Also helps save paper. 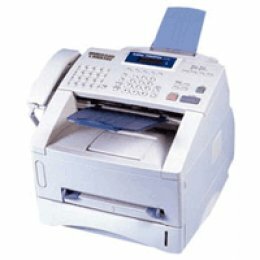 Duplex Scan/Copy/Fax. Help increase productivity with duplex (two-sided) scanning and copying, up to 8.5" x 14" (legal size). 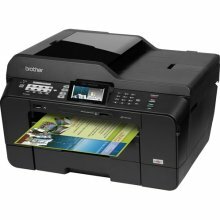 Fast Print Speeds. Up to 35 ppm black and 27 ppm color (Fast Mode). Up to 12 ppm black and 10 ppm color (ISO/IEC 24734). Uses Super High Yield (XXL Series) Replacement Ink Cartridges. Save More, Print More with Super High Yield Ink Cartridges. LC79 XXL Series replacement ink cartridges provide approximately 2,400 pages (black) and 1,200 pages (color). Our efficient 4-cartridge system means that you only change the cartridge that needs to be replaced. Brother iPrint&Scan. Free app download for wireless printing (JPEG & PDF) from and scanning to your Apple or Android mobile device.